BSS: Father of the Nation Bangabandhu Sheikh Mujibur Rahman attended the birthday celebration of his grandson Sajeeb Wazed Joy on July 27 in 1975, which was in fact the last family function of his life, reports BSS. 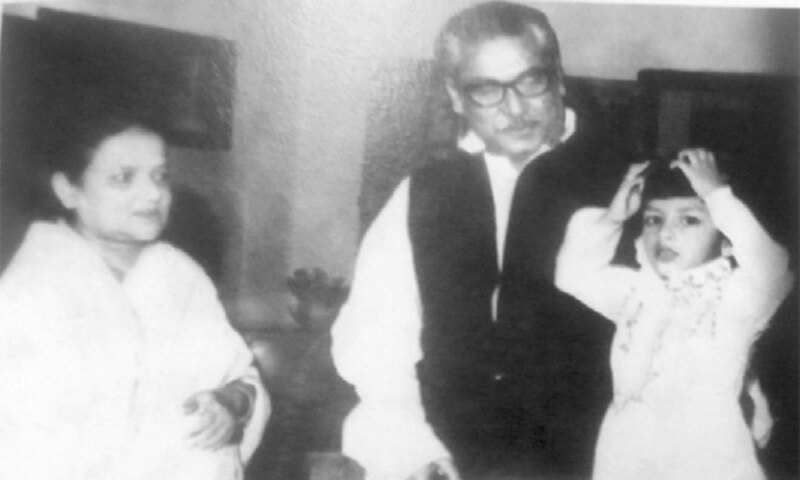 During the programme, Bangabandhu Sheikh Mujibur Rahman and Bangamata Sheikh Fazilatunnesa Mujib were captured in a photograph with Joy, son of Sheikh Hasina, the incumbent prime minister and Awami League president. Wearing his grandfather’s cap, little boy Joy posed for the picture, but none knew that this would be Joy’s last close interaction with Bangabandhu. Recalling his memories as Bangabandhu’s private secretary, former governor of Bangladesh Bank Dr Mohammed Farashuddin Ahmed said there was festivity in Bangabandhu’s family throughout the month of July in 1975. Bangabandhu joined the birthday function of Joy on July 27, although the function was very much simple, he added.